Public health is an exciting field that concentrates on assuring and improving population health, and protecting against threats to health. Public health covers a broad range of disciplines and issues, including such topics as environmental pollution, access to health insurance, avian influenza, bioterrorism, and obesity. The minor can serve as a precursor to further study in public health, other health professions, or any fields in which the health of persons and populations is a relevant concern. In addition, public health is of interest for its own sake, as a component of a rigorous liberal arts education. Comprehend the international dimension of one's field of study. The minor in Global Public Health requires a minimum of 15 credit hours. 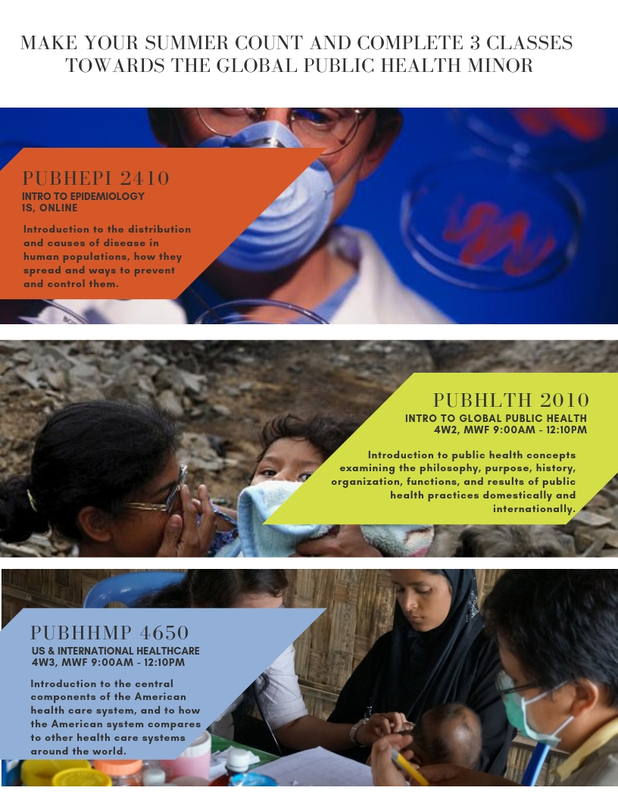 *The minor in Global Public Health was revised in Summer 2015. The required courses listed above are for students who officially declare the minor Summer 2015 and after. To declare the minor, students should send an email to cph osu [dot] edu with the subject line "Declare Global Public Health Minor". Appointments with a Public Health advisor are not needed to declare the minor.